I’ve always had a bit of an obsession with aerial views. I’m the grown adult who always selects a window seat on a plane and I could spend hours looking at places I know on Google Earth. So the first time I visit a new destination, one of the first things I like to do is visit the highest point to get the best possible view. When in Paris, to the top of the Eiffel Tower. When in Greece, to the Acropolis. So of course, on my first ever visit to Cape Town, top of my list was to take the cable car up Table Mountain. There’s no dispute that Table Mountain offers amazing views over the City Bowl, Robben Island and the West Coast. With just a few steps from the cable car station you also get an incredible birds-eye view of Camps Bay. 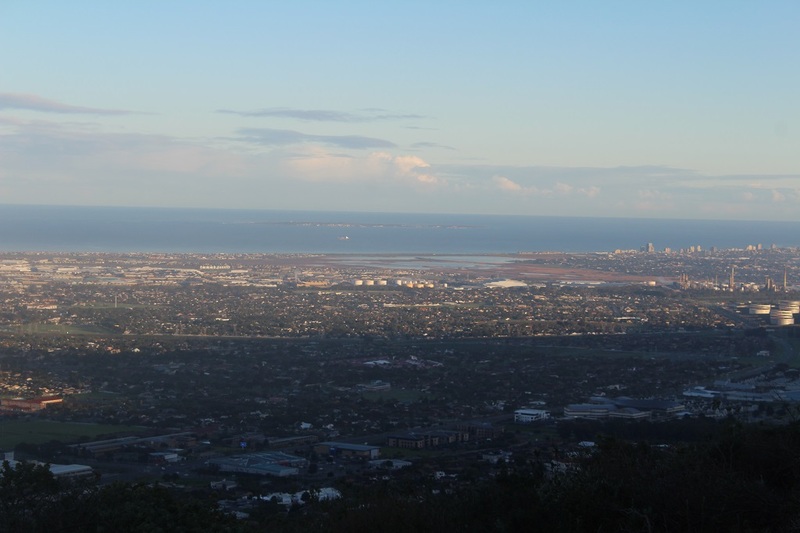 But the rest of Cape Town, the part where the vast majority of people live, is hidden from view, unless you take the walk eastwards across the table to Maclear’s Beacon, the highest point of the mountain. There are a number of other contenders competing for the accolade of providing the best view of Cape Town. Lion’s Head gives amazing 360 degree views, but Table Mountain still blocks your view of much of the city. More southerly points on the Cape Peninsula Mountain chain, for example near the radio mast at the top of the Constantiaberg, give stunning views. But these places require quite a hike to get there and the iconic city bowl is blocked from view. 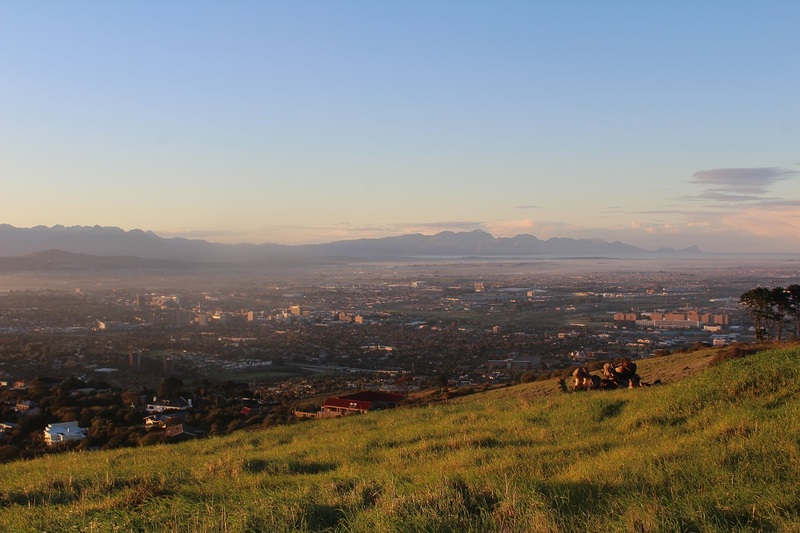 So now that I’ve been a resident of The Mother City for a number of years, I’d like to present my choice of the location from which to get the best views of Cape Town – the Tygerberg Nature Reserve. You certainly won’t find it listed in many tourist guides! 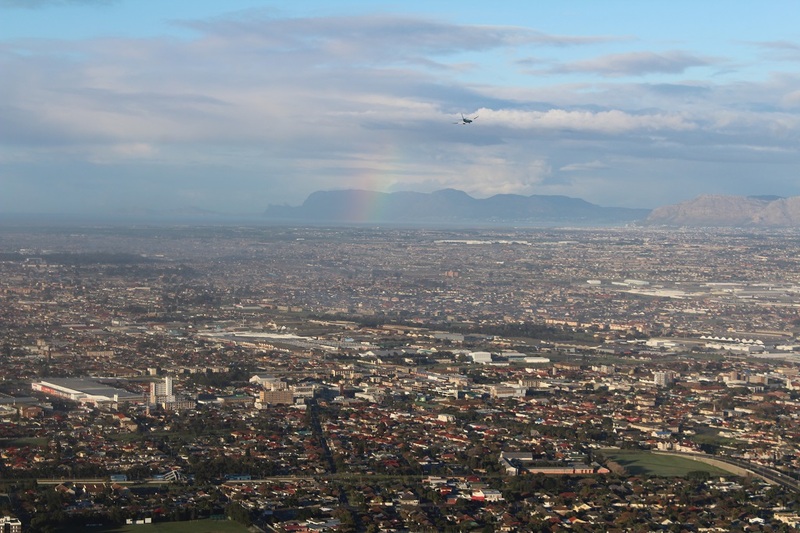 The Tygerberg Hills are located just to the north of the N1 highway, between the suburbs of Plattekloof and Welgedacht. The hills are clearly visible from most parts of Cape Town, and will be especially familiar to those who drive out of town on the N1 towards Paarl. To get to the Nature Reserve, take the Jip de Jager exit from the N1 and head north, then simply follow the clearly visible brown “Nature Reserve” signs. The first of these signs instructs you to turn left onto Kommissaris Street, then from there you take a number of clearly indicated turns through a residential area until you reach the car park of the Nature Reserve. Once you’ve parked, there is a small entrance fee to get into the Nature Reserve, currently R15 for adults. You are very unlikely to have to queue to get in. So in terms of logistics and cost, this location already has two major advantages over Table Mountain! To get to the main viewpoint at the top of the hill, where the radio transmitters are, is a fairly short walk of around 800m. It is however a consistently steep incline, so take plenty of breaks when needed. This walk is on a tarred road the whole way, so is suitable for pushchairs or wheelchairs -although bear in mind that the person pushing will need to be fit. Unfortunately there is no cable car or funicular alternative here! A number of walks and trails lead across the sides of the hills in various different directions. One of these, with great views south over False Bay, has matting which makes it pushchair and wheelchair friendly. There is also a small wooded area with picnic tables as well as toilet facilities. It will strike you how few other people are around – very different to Table Mountain next to the Upper Cable Car station! In terms of sounds, all you will generally hear is the distant hum of traffic from the NI highway, overlaid by regular birdsong. The only occasional noisy interruption is likely to be a plane swooping low over the hill on its final approach to land at Cape Town Airport. 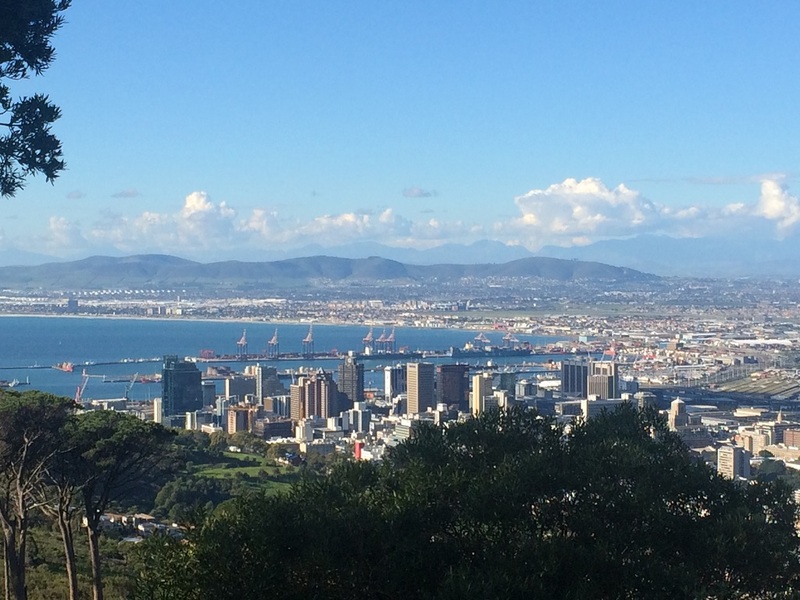 But let’s return to the main point of this article – the views of Cape Town. From the top of the hill you can get a full 360 degree view just by walking along the small circular path around the radio transmitters. To the south is the spectacular view over the Cape Flats and False Bay, will full sight of the mountain chains on each side of the bay (including all the way to Cape Point on a clear day). 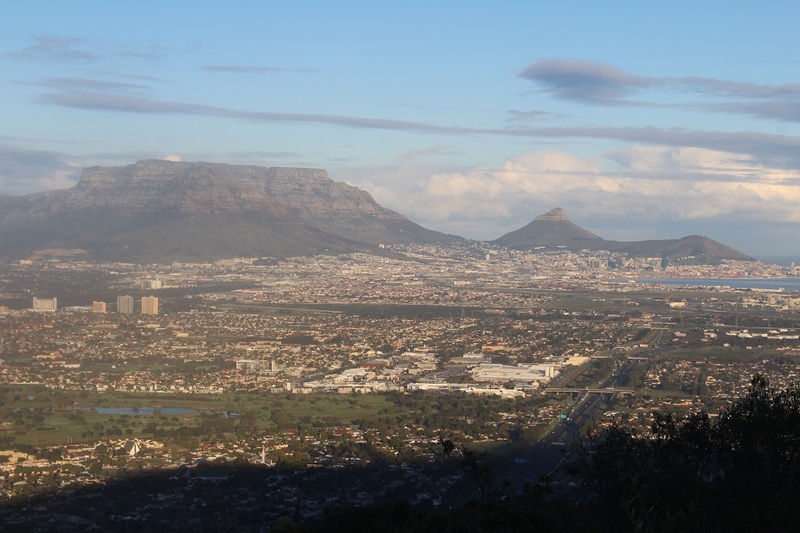 As you turn clockwise, the view changes to the southern suburbs in front of the Constantiaberg mountains, all the way to Table Mountain, the City Bowl and Green Point. This is the only section of the panorama where a few suburbs are hidden from view– specifically Hout Bay, Llandudno, Camps Bay and Sea Point. As you continue to turn around the circular path, Robben Island and Blouberg come into view, followed by the suburb of Oude Westhoff to the north. Then you see the Bottelary Hills (hiding the town of Stellenbosch from view) in front of the imposing mountains of the Winelands area. Completing the circular path, a great view of Bellville appears, before the majesty of False Bay returns and the 360 degree view is complete. So if you haven’t yet visited the Tygerberg Nature Reserve, I strongly suggest that you check it out. Even if you’re not an aerial view obsessive like me, I expect that you’ll be mightily impressed by what you see. Mark Rouse is originally from England, but has now lived in Cape Town for six years with his South African wife and three young children. In his limited spare time (when away from his full time job working in IT for a bank) he runs the South African Holiday website. This is intended as a complete guide for those planning to visit South Africa on holiday. There is also an associated South African Holiday Facebook Page.